Pattern weights are one of the greatest creations when it comes to sewing tools. If you don’t use them, I strongly recommend trying them out. 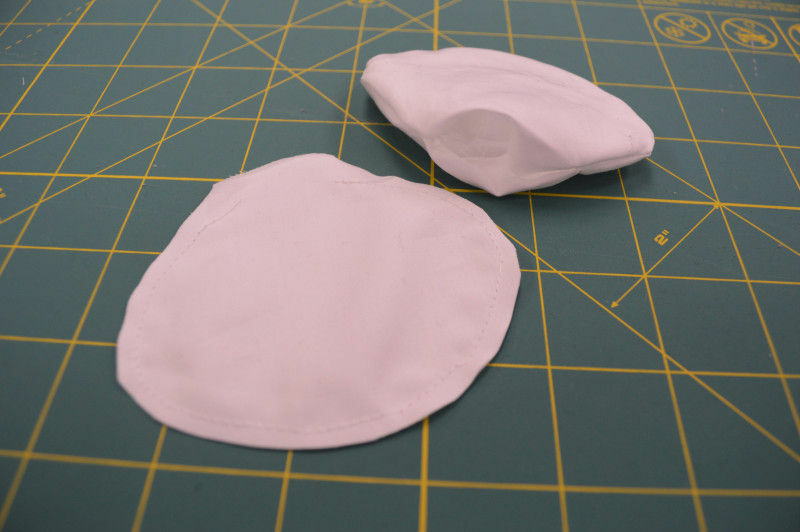 They don’t cause your fabric to pucker while you’re cutting, they don’t rip your pattern paper, and they can be moved around so much faster than pins. Plus, they can be DIYed so easily. 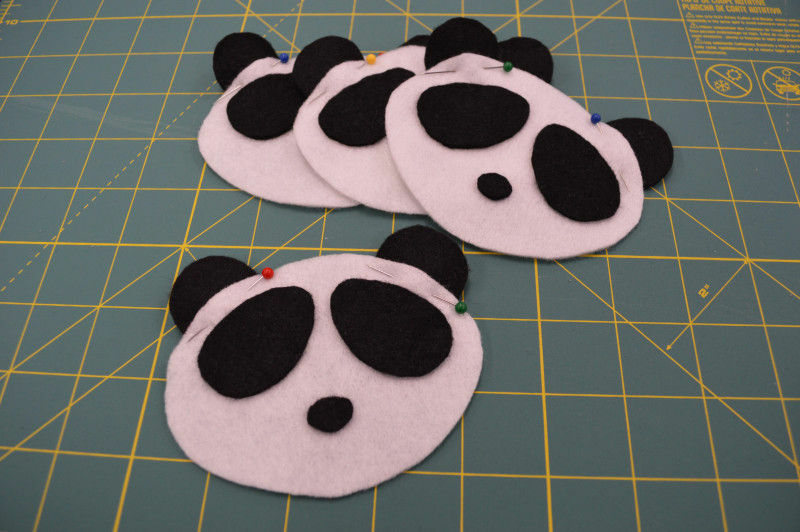 For these felt panda weights, I used a quarter yard of Mood’s White Fiesta Felt and a quarter yard of black poly felt, as well as black and white thread. For each weight, I cute two white ovals for the head, ever so slightly elongated toward the bottom for the chin. Out of the black felt, I cut two circles for the ears, 2 egg shapes for the spots around the eyes, and a tiny oval for the nose. I then multiplied all these pieces by 4, since I made 4 weights. 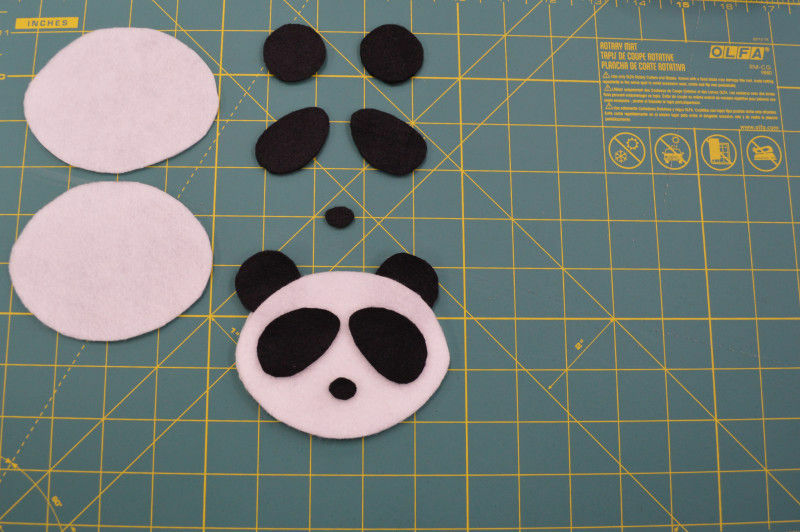 After everything was cut out, I sewed the nose and eye spots onto 4 of the white ovals with black thread. I also pinned the ears in place, for when I would sew the front and back of the heads together. 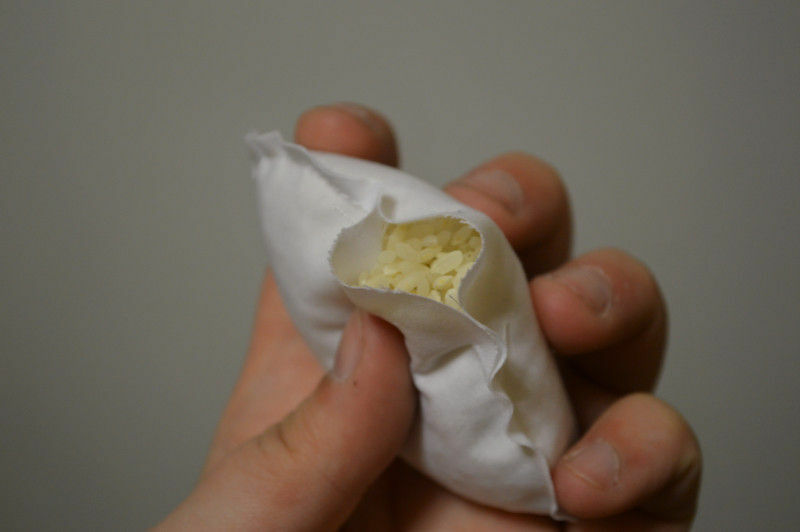 I filled each weight with rice (although, sand would also be a great substitute if you’d like them a bit heavier), and to avoid any leaks, I decided to create little pouches out of bleached muslin. Each pouch was filled using a small funnel, and then stitched closed. 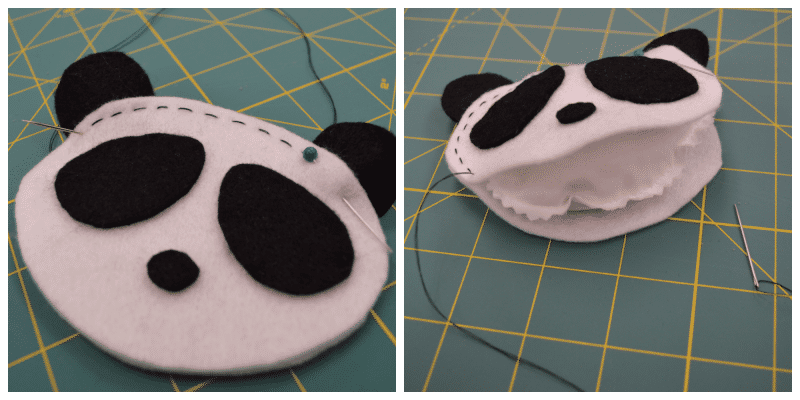 After the pouches were complete, I began to hand stitch the front and back of the panda heads together. About 1/3 of the way around, I added the rice bag before sewing the remainder of the head. 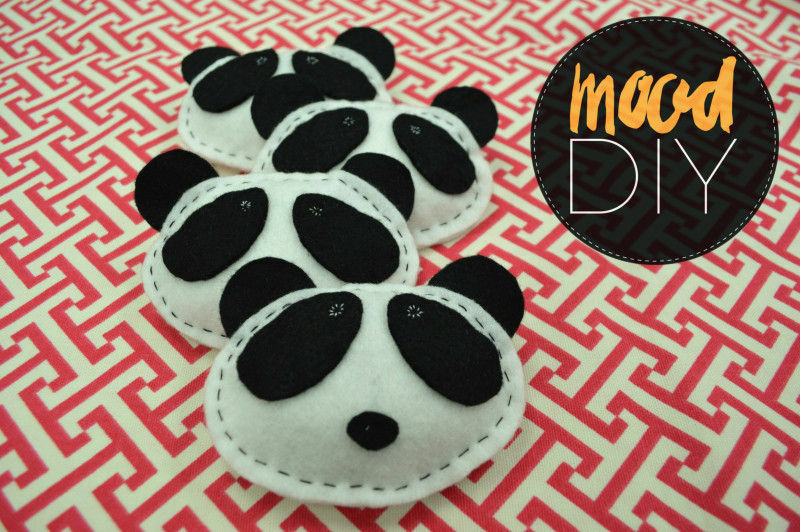 After repeating this four more times, I had an adorable set of panda pattern weights! 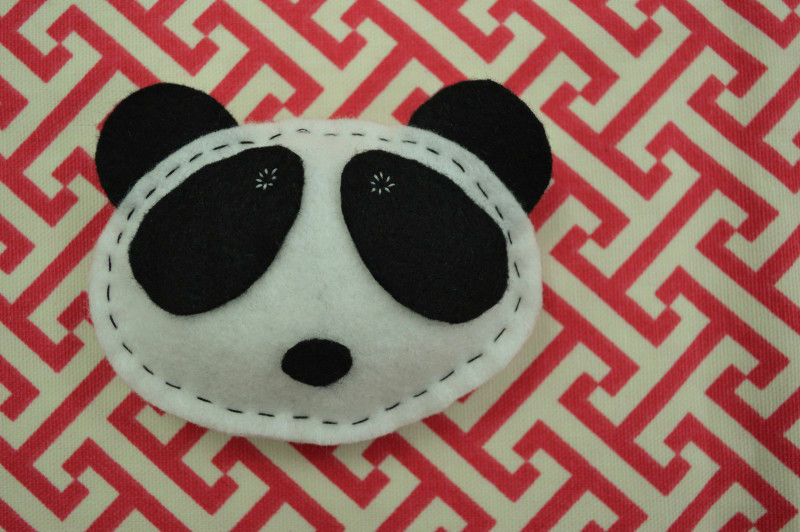 I even added some hand-stitched eyes with white thread, although tiny white buttons would also be super cute. 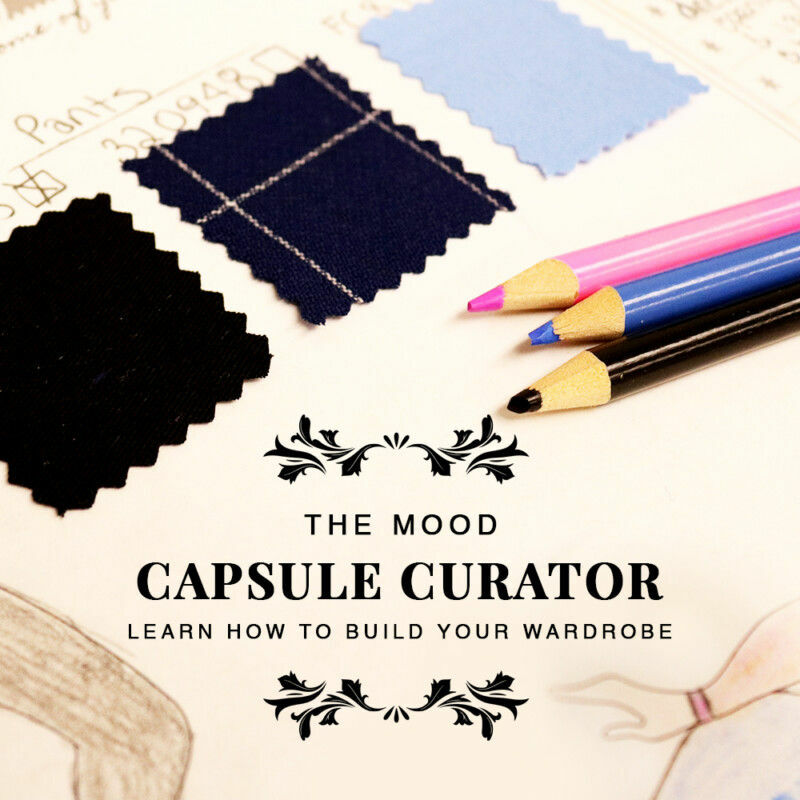 I think I may have just discovered a new gift idea for my creative friends!